Last weekend Fresno Filmworks hosted a mini festival showing all of the Academy Award nominated short films. The festival was broken into three segments—live action, animation, and documentary—and shown at the Tower Theatre. Over the course of the festival, a few common themes emerged from the web of stories, many of which are timely and resonant—racism, immigration, and finding hope in dark times. The Academy selected fifteen brave and bold films, and here’s what you need to know about them. Mindenki (Sing) from Hungary tells the story of a young girl starting a new school and joining a choir. After the first rehearsal, her teacher takes her aside and asks her to mime instead of sing. The film uses child actors of a rare, high caliber, and its finale contains the most gratifying moment of any short shown in any category. A touching and tender film, it asserts that art is for all and that, when it comes to creating, passion and joy matter more than skill. Silent Nights, Denmark, is a film of relentless empathy, one that challenges itself to care for those who might be thought of as unworthy of care. Intercutting the stories of Inger, a young woman who is either volunteering at a homeless shelter or caring for her alcoholic mother and Kwame, a Ghanan immigrant to Denmark who collects bottles and cans to support his family back in Ghana, it asks what the limits of love are and if the human capacity for empathy is finite. This is the kind of film that contains the line, “Racism is found everywhere and in all kinds of people,” but also ends with a shot of a woman smiling. 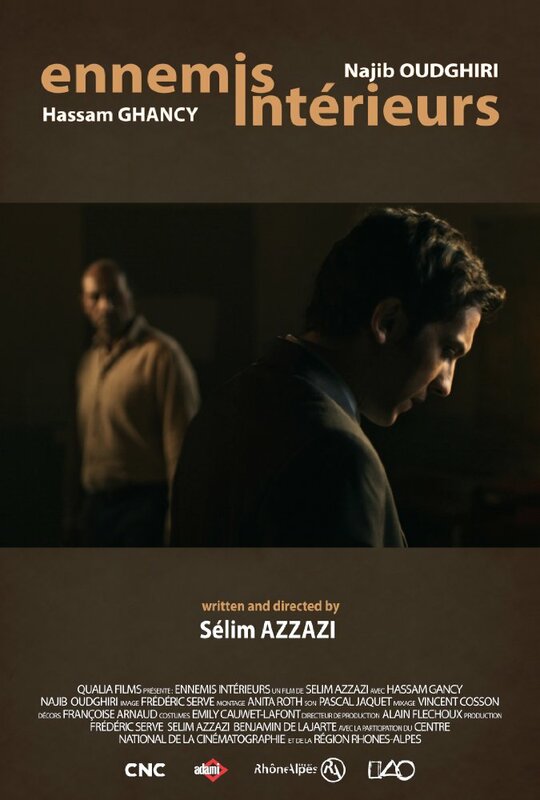 Timecode, Spain, is the type of short you watch on Vimeo while drinking your morning coffee. You marvel at the technical creativity and the simplicity of the concept, laugh a lot, then forget about on the drive to work. And I mean that in the best way possible. What starts as a drama about the ennui of parking lot security guards transforms into a dazzling pas de deux shot on security cameras yet meticulously composed and edited. It is an exploration of the various ways humans can connect told with great visual flair. 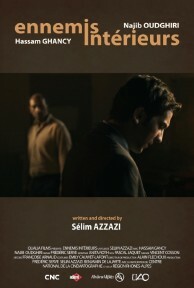 Ennemis Intérieurs (Enemies Within) from France takes place almost entirely in a single room. A French-Algerian man applies for French citizenship, and the immigration officer turns a simple interview into a heated inquisition. In other words, it’s 28 minutes of extreme vetting. And by the end, no matter what side of the political debate the viewer falls on, it’s impossible not to feel for the man, and it’s difficult not to see the officer as evil. If it looks amateurishly shot, it compensates in its ability to get under your skin. Le Femme et la TGV (The Woman and the TGV) from Switzerland is almost like a live action Pixar movie. A woman lives in a cottage next to the train tracks, and every morning and afternoon she waves a flag at the passing trains. Then she rides her bike to her bakery where she feeds her single customer the same order every day before biking back home to wave at the night train. Until one day she receives a note from the passing train from the conductor who has delightedly watched her wave for years. That the film is based on true events only makes it more magical, more surreal. It is without any agenda other than to make you smile, and it succeeds. Had I a ballot, I’d vote for Mendenki. Were I a betting man, I’d bet on Silent Nights. 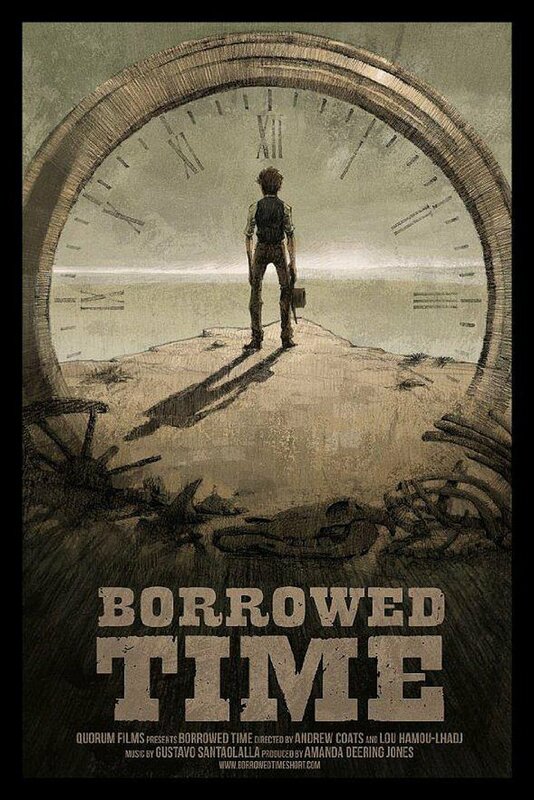 Borrowed Time, a poignant story of grief and loss, finds a sheriff standing on the edge of a cliff reliving the worst moment of his life and using what it taught him to save himself again. It is tense and powerful with a knack for finding emotion in tiny details. Pearl is shot almost entirely inside of a car, and it manages to tell the story of a girl and her father over the course of the girl’s entire childhood. 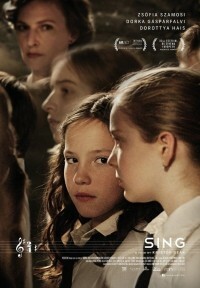 Heartwarming and tender, it speaks to the power of familial love and the relentlessness with which humans seek happiness. 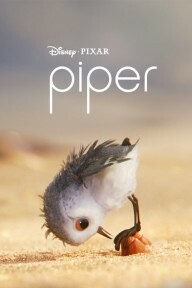 Piper is from Pixar, and it is therefore a highly polished, devastatingly cute, and luminous film about a story that only children could think up. A hatchling is afraid of the sea, but with the help of a crustacean, learns how to use the water to her advantage, finding more and better food than even the adults in her flock. We can learn from those who are different from us, and we have to, the film seems to say. But it says in such a fun way you almost don’t notice. Blind Vaysha is a film so bizarre that one wonders how The Academy managed to acknowledge it. With a visual style somewhere between ancient cave drawing and crochet, it tells of a young girl, Vaysha, whose left eye sees only the past while her right sees only the future. “For Vaysha, there is no present.” It seems to be an allegory, but I can’t for the life of me figure out what for. But if nothing else, it’s a change of pace and a challenge, expanding what we think of as storytelling. 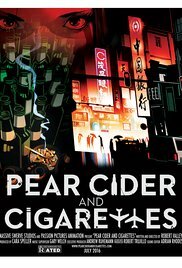 Pear Cider and Cigarettes, by far the longest short at 35 minutes—no other went over eight minutes—uses the aesthetic of film noir to tell the story of a once-exciting and daring man dying of alcoholism and disease. The film’s misery is made palatable by the buffer of narration and the lens of the noir, making us read it as a high-stakes, pulpy crime novel other than what it is, a teary-eyed melodrama. This chasm between content and form can be off-putting, but on closer inspection, it seems justified—the narrator thinks of Techno’s death as impossible, something that could never-in-a-million-years happen, just like we the audience think an anime noir about nothing more than mundane hospital trips is impossible. Neat trick. On my ballot: Piper. My bet: Pear Cider and Cigarettes. In Joe’s Violin, a Holocaust survivor donates his violin to a Bronx school for young girls, and the student who receives the violin befriends her benefactor. 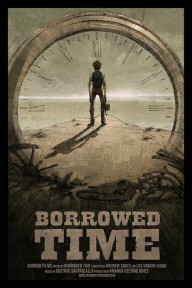 It is a simple story with low stakes about finding the light and passing it onto the future generations. It’s difficult to take seriously as an Oscar contender, but it’s a touching short that’s worth watching. 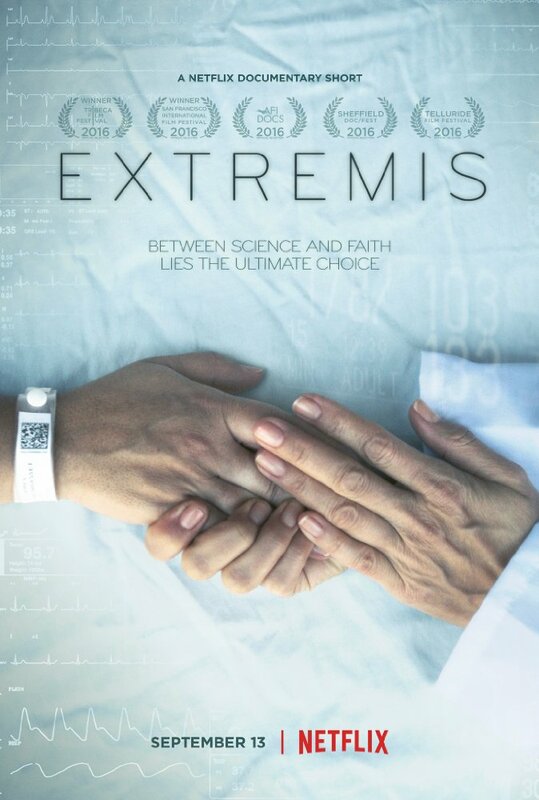 Extremis, from Netflix, lives in an Intensive Care Unit where patients and their families face the impossible decision of whether or not to transfer to life support. Some choose to die on their own terms, some choose to keep fighting in spite of long-shot odds, and some can’t choose at all. 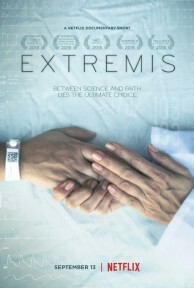 It treads familiar ground, but it has great compassion for the human condition, and its themes are universal. 4.1 Miles contains a scene so harrowing that I drew blood from my fingernails digging into my palm, and then it follows it up with another equally as intense. And another. Kyriakos Papadopoulos works for the Greek Coast Guard, and he and his crew rescue refugees lost at sea. Searing, hair-raising, and so incredibly alive, it is the first of three documentaries to focus on Syrian refugees, and it serves as an intense setup for the horrors of the two that follow. 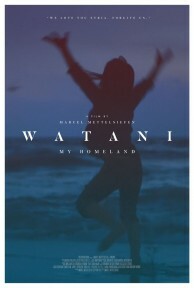 Watani: My Homeland follows a single Syrian family. After a Free Syria Commander is captured by ISIS, his wife and four children make the move from Syria, where they live in abandoned homes partially destroyed by bombs, to Goslar, Germany. The transition is testing and terrifying, yet the film manages to remain hopeful against all odds. Seen mostly through the eyes of the children, the war is just something that happens in the world, something they deal with before going about their business playing and being children. A scene of the children playing pretend—one as an ISIS member arrested the others— is chilling. When first arriving in Germany, the mother remarks of the neighborhood, “Not one house is shelled!” The film makes its most powerful point in its title, every member of the family professing their love for Syria. It strikes hard, a forceful reminder that Syrian refugees aren’t just fleeing a war zone—they’re fleeing home. The White Helmets, also from Netflix, focuses on a humanitarian group dedicated to recusing bombing survivors in Syria. They follow a code of “To save one life is to save all of humanity,” and since 2013 they have saved 58,000 lives. Watching the film is like watching humanity be saved 58,000 times. The titular volunteer group is comprised of ordinary citizens who every day place their lives in danger for the chance to help others, and they refuse to discriminate based on politics. If a human life needs saving, they do everything they can to save it. Seeing the catastrophically ruinous country juxtaposed with these volunteers speaking about hope is…beyond words. My vote and bet belong to The White Helmets. Watch for more Oscar reviews between now and the Oscars on February 26 at 4 p.m. Pacific time on ABC. You can check out all of the nominees on our Oscar event page. Joshua Ryan Taylor is a Fresno actor and writer.